Do you have what it takes to become an author, but are not sure where to start? Promote Your Book gives enterprising authors the advantage they need to navigate the publishing industry and gain a better understanding of what book promotion is all about. 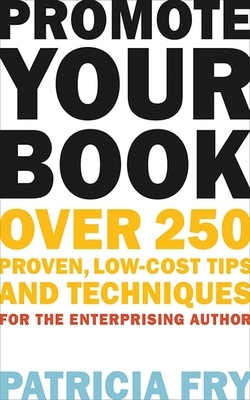 This well-organized collection of the most successful low-cost and no-cost ideas provides solutions for both aspiring and seasoned authors in any genre. You will learn how to promote the book without changing your lifestyle; how to promote creatively, locally, and through social media; submit news releases and tip sheets; arrange book signings, radio, and TV appearances; enhance marketing skills; spend money in all the right places, and more.